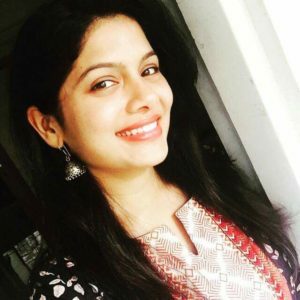 Popular actress Suruchi Adarkar recently celebrated her birthday on 25th April 2018. 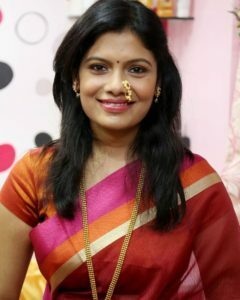 Suruchi is one of the beloved actresses of Maharashtra. Her fans have decided to give her a special surprise on her birthday. Her official fan club started the countdown for her special day which made everyone curious about their plans. So finally everyone got the answers yesterday. They gathered the special videos of her near ones and they posted each video with the interval of one hour. Suruchi’s fan club made sure that these videos had few special wishes also. It included videos from her family, friends, best friends, co – actors, her fans and the admins of the fan club, etc. It surely made her birthday special and she must have been too happy with all the love she received. 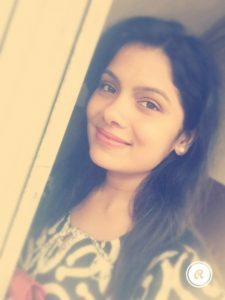 Suruchi Adarkar has won audience’s hearts through her serials like Ka Re Durava and Anjali. Her play Strawberry also got a good response. 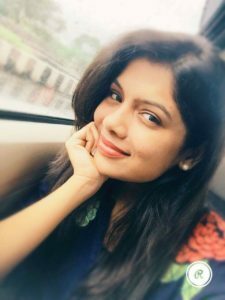 We wish Suruchi Adarkar a very happy birthday and we wish she keeps getting love and affection of her fans. Marathi Actor, Marathi Celebs, Marathi Actors, Marathi Celebrities, Marathi Actors Wallpapers, HD Wallpaper, Marathi Entertainment Industry, M town, Celebrities, Directors, Producers, Marathi Directors, Marathi Producers, Lyricist, Screenwriter, Cast and Crew, Cast & Crew, Marathi Movies, Films, Songs, Marathi Serials, Teasers, Trailors, Trailers, Selfie Video, video profiles, Celebs Katta, MarathiCelebs.Com, Marathi Website, Film Reviews, Articles, Videos, Marathi Actresses, Marathi Actors Biography, Marathi Actresses Images, Pics, Upcoming films, Upcoming Serials, TV Updates, Film Industry, Photos, Promotions, Interviews, New Films, Selfie Interview, News, Trailers, Zee marathi, zee yuva, star pravah, zee talkies, New Release, Blockbuster, Hit Films, Suruchi Adarkar, Suruchi Adarkar Receives Special Birthday Surprise From Fans, Suruchi Adarkar Birthday, Aditi, Ka Re Durava, Anjali, Strawberry, Suruchi Adarkar Wallpaper, Marathi Heroine, etc.